New Vespa S '150' with Sports Styling and Improved Performance. Available first week of December. Vespa will soon release the ultimate two wheeled fashion statement. Vespa's popular LX150ie scooter will be available for a limited time only in a stunning metallic pink, appropriately named 'Rosa Chic'. 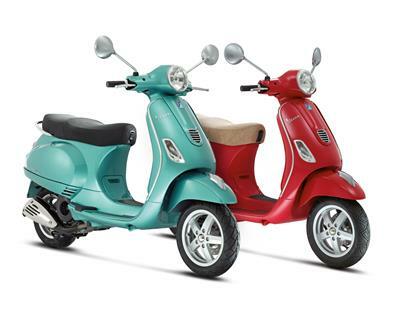 Vespa has now added even more flair to its model line-up with the release of the all-new LX 'S' 125. After two months of rigorous pace training behind Vespa Australia's avant-garde LX150 scooter, the world's No. 1 women's cycling team has kickstarted 2007 with a resounding victory in Geelong (Vic) on March 3. What does the world's No. 1 women's cycling team put on its wish list when it heads Down Under for a two-month training camp? A Vespa LX150, of course. Timelessly elegant design and a compact steel body are the hallmarks of an exceptionally snappy new Vespa that stands out in the hurly burly of urban traffic.